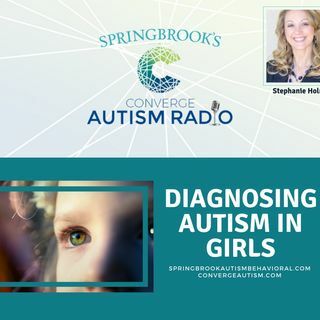 Stephanie Holmes joins to discuss her experience as a parent of a female child with Autism. Stephanie is a board Certified Christian Counselor and Certified Autism Specialist. She believes counseling begins with the an understanding that we are physiological, psychological, and spiritual persons. Because of this belief, Christian principles are blended with compatible psychological techniques and theories in order to promote psychological, relational, and spiritual growth through counseling. ... See More Counseling is a process that promotes positive change, but the overall decision to change and apply various techniques is the sole choice and responsibility of the counselee. I provide counseling services for individuals, couples, and families. Read her excellent article on the subject here.